Our guess is that prior to the introduction of the new breed of “smart” baby monitor technology, most baby monitors fell far short of parental expectations (a polite way of saying they all sucked), so DXR-8 buyers are comparing their “new” monitor to older “audio or video only” non-wifi monitors with very limited functions. Today the much-touted FHSS wireless technology of the DXR-8 and its 360p images is a far cry from the 1080p resolution and the “Tesla of Baby Monitors” such as the state-of-the-art Nanit. These new products of Silicon Valley not only give you the peace of mind a good baby monitor should, they even give suggestions and advice for improving your baby’s sleep. We’d imagine it’s just a matter of time before word gets out and the old DXR-8 is toppled from its top-selling throne at Amazon. There is also the fact that the DXR-8 is only available exclusively at Amazon. The San Francisco firm Infant Optics does not sell their product directly. A quick trip to the Infant Optics company website directs you right back to Amazon to purchase. Check out the 4,250 critical reviews before being wowed by the top seller status of the DXR-8. Many of the 73% positive reviews come from new buyers but over time the reliability flaws of the DXR-8 become all too apparent and all too common. There are many complaints about signal interference from wifi routers, inconsistent signals, faulty power connections, and premature battery failure. When you compare the DXR-8 with the new cutting-edge smart baby monitors available today, it’s obvious that the Infant Optics offering is resting on its laurels. 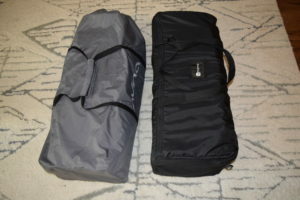 It may have been leading-edge technology 4 years ago but the DXR-8 has since fallen far behind high performance 2019 challengers such as the Cocoon Cam, and the Nanit. And we should know. Our DXR-8 from 4 years ago is identical to the one we just purchased for further testing in December 2018. So much for a top seller staying on the leading edge of baby monitor technology. Unlike the industry leaders, the DXR-8 has not been improved over time, and a shallow boast about its status as “the first baby monitor with interchangeable lens technology” is poor compensation for a lack of reliability. Reliability is the prime consideration for baby monitors. Doubts about monitor reliability defeat the whole purpose of the device which is designed to give parental peace of mind. 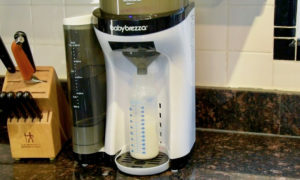 You’ll make enough back-and-forth trips to care for the baby, the last thing you need is a compulsion to check on the intermittent performance of the baby monitor. At the risk of pointing at the top-selling Emperor of Amazon Baby Monitor Land and declaring loudly that “He has no clothes!” the Dads at Fathercraft are going to tell it like it is after testing not one, but two DXR-8 units. We purchased the second unit to ensure fairness by ruling out the chance that we’d gotten stuck with a rare malfunctioning oddball lemon that somehow squeaked past the Infant Optics quality control team. 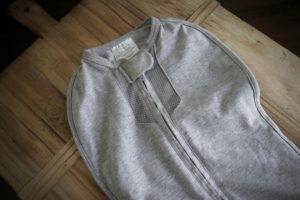 We’ll follow our usual review format, and we’ll even mention a few positive points about the DXR-8, though it would be a stretch to put those points in the “Awesome” category we usually include in each of our baby gear reviews. Perhaps “Good” would be more applicable when it comes to our wayward pair of DXR-8s. Why would anyone consider purchasing the DXR-8? One of the selling points of the DXR-8 is that it is a traditional monitor as opposed to the more technologically evolved wifi monitors available now. For parents and sitters with unreliable wifi, we can see how a traditional monitor might be preferred since it will keep on working even when the wifi is down. You see, there’s no financial incentive for a hacker to hack your baby monitor. And, a hacker would have to be BOTH really good at hacking AND the sort of creep that likes to yell at babies through a monitor. We’d warrant this is a rare combo. This “old school” approach is certainly understandable but hardly justifies the $165.95 price tag, especially when parents on a budget can get advanced features such as breathing monitoring with a wifi based smartphone-app-powered monitor like the Cocoon Cam for just $149. More for less will always score major points with us here at Fathercraft. Less for more puts you on our cautionary advice list, and in our view, the DXR-8 is simply not a good baby monitor at any price. 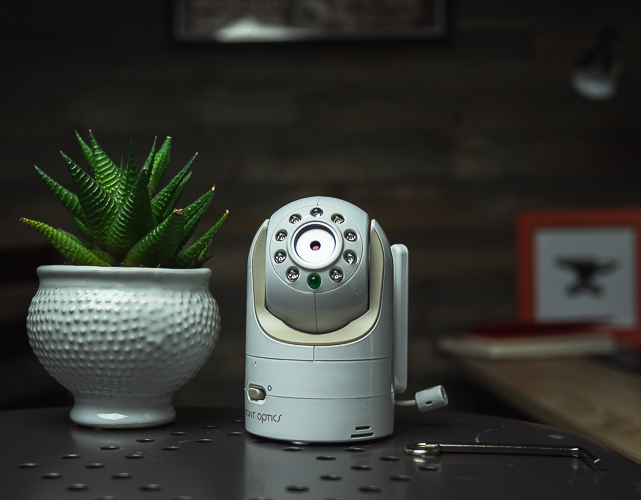 It just doesn’t fulfill the basic purpose of a baby monitor in terms of reliable performance, and even when it is functioning properly, mediocre visual results are about the best it can deliver. The old school still rules when it comes to the setup of the DXR-8 as well. Close proximity to the crib is strictly forbidden, which is made alarmingly clear by the User’s Manual with all of its warnings about choking hazards and strangulation risks. 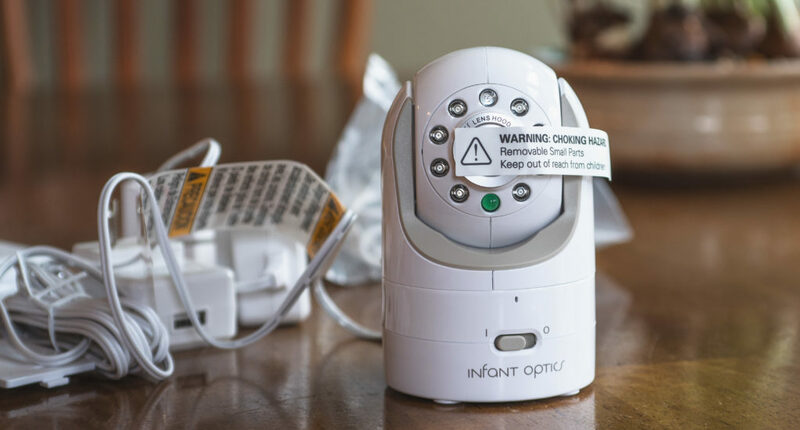 The DXR-8 must be placed at least 3 feet away from the crib to prevent cord entanglement hazards, and the manual clearly identifies the optical lens and lens hood parts as choking hazards. 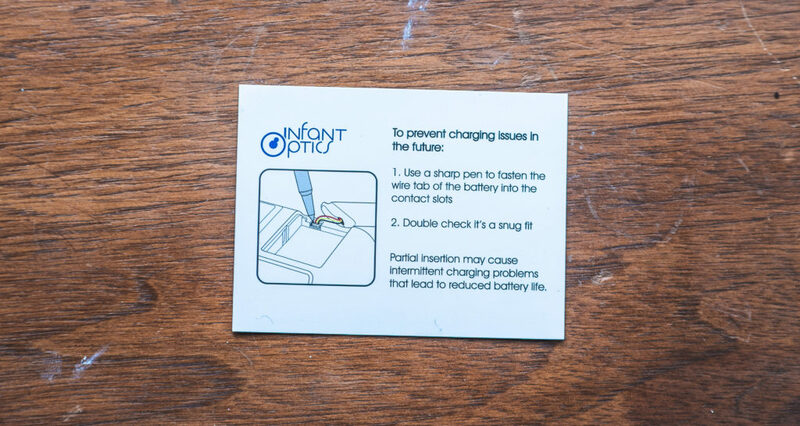 A color-coded wire tab must be mated to the appropriate slots in the parent unit before the lithium-ion battery pack can be fitted into the battery compartment (a sharp pen is recommended to do this), and the unit can’t be used until the battery is fully charged. The Infant Optics website is pretty sparse when it comes to additional support information, offering only PDF downloads of the quick start and full versions of the User’s Manual, and not much else. Of course, the DXR-8, as a “traditional” non-wifi baby monitor is considered “plug and play” since there is no app configuration to consider. This might be considered as a plus until it’s time to add additional cameras for additional kids. 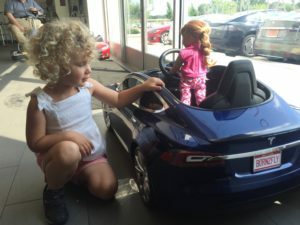 The rechargeable lithium-ion battery in the parental unit is rated for 10 hours in standby mode and 6.5 hours with the screen continuously on. That’s pretty good as long as you happen to get a unit with good power connections. Additional cameras can be added, up to 4 total, for $99.75 each. Lens choices include a wide angle lens for $11.98 and the optical zoom lens included with the starter kit is also sold separately as a replacement component for $19.99. Cameras need to be “paired” or “registered” with the monitor unit via the menu bar and a six-step process. The last step ominously states, “If unsuccessful, delete the camera channel and attempt to pair again.” After all that, there is no split screen viewing mode available, so each channel must be searched for and viewed one camera at a time from the parental monitor. We do like the idea of a dedicated parent unit which isn’t reliant on working wifi. We also like the Pan and Tilt functions which can be operated remotely from the parental monitor. 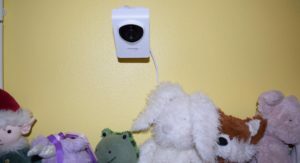 This is especially convenient when the toddlers go mobile and you need to track their activity across the entire room. We’ll also give some credit for the instant video feed access, but really that’s just a second or two advantage over the smartphone-based monitor delay. This small advantage is not nearly enough to be a deal breaker when it comes to favoring smartphone-based wifi capable baby monitors. And that’s about it for the good characteristics of the DXR-8. Now it’s time to dive into the performance issues experienced with not one, but two of our DXR-8 baby monitors. One of the most widespread flaws experienced in one of our two units is that the DXR-8 suddenly stopped working. This is an inherent range problem with the non-wifi DXR-8, and a Google search revealed that the same thing has occurred to other people quite frequently. Even when the parent unit is right next to the child unit we still got an “Out of signal coverage” alert. 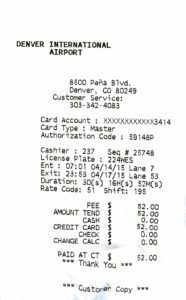 That’s well within the 700′ unobstructed parameter advertised by Infant Optics. Infant Optics makes a selling point out of the 700′ unobstructed range but think about that. How often do you have an unobstructed area, free from walls and floors? We would expect, more realistically, that a decent monitor should be able to perform inside at about 85 feet with up to four walls between parent and baby, but suddenly we weren’t even getting that limited coverage once the mysterious “out of signal coverage” issue surfaced. A search for range extenders for the DXR-8 was fruitless. We did find numerous DXR-8 consumers with similar issues though, including interference from routers and microwaves and the notoriously annoying beeping alarm which sounds for low batteries or lost signal. One reviewer at Amazon titled her 1-star review “Living Nightmare”. Wifi based baby monitoring has unlimited range and obstructions aren’t even a consideration. Using John’s house (3 stories including the basement) as an example, even when it is working as advertised, the DXR-8 left you severely restricted. If he wanted to keep an eye on Calvin in his room, that meant the garage, back yard, and different sides of the house were all off limits. 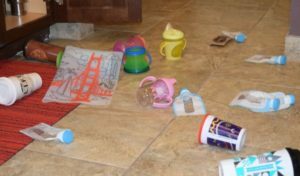 A good baby monitor permits a certain level of parental freedom to keep up with the domestic demands in the rest of the house after all, so a monitor which can’t handle the inevitable “obstructions” between parent and child fails at the most fundamental level. While today’s modern monitors are pushing into the 1080p territory, the DXR-8 can only deliver 360p resolution. We needed daylight or a light on in the kid’s room to view the general layout, but even then the low resolution make it impossible to distinguish facial expressions. When testing with John’s 4-year-old Oliver, whose bed was across the room from the camera, and it was difficult to tell if he was actually in the bed. Naturally, night vision with such primitive resolution was pretty poor, yet another fundamental failure of the DXR-8. Since it is much healthier for kids to sleep in the dark, it’s only reasonable to expect that a good baby monitor should function well in the dark. Without night vision capability you’re paying big bucks for what amounts to an audio-only monitor, just one more example of how the DXR-8 provides less for more. With so many excellent smartphone-based baby monitors available today the DXR-8 is long past its prime. The best baby monitors use wifi and smartphone apps to their advantage. With the DXR-8 the presence of a wifi router can actually be a handicap, and what modern household is willing to forego wifi? Old school technology such as FHSS wireless transmission is much too prone to signal interference from common sources such as microwave ovens and smart IoT devices, and interchangeable lenses don’t enhance the low-resolution 360p video. 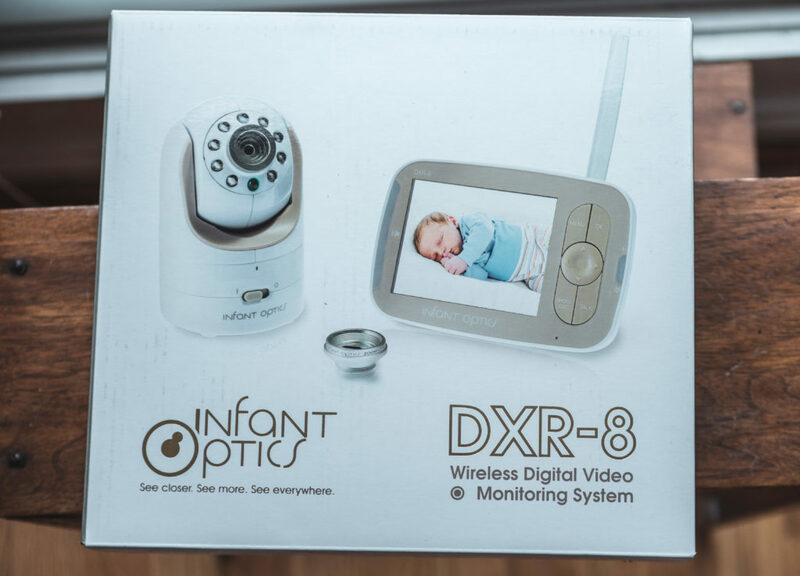 The DXR-8 fails across the board of criteria we use at Fathercraft to evaluate baby monitors, with shortcomings including poor range, poor picture quality, poor night vision, and severe usability issues. Performance of the DXR-8 is marginal at best, and just plain non-functional when the out of signal range issue surfaces out of nowhere. It’s obvious to us at Fathercraft that the DXR-8 is long past its prime, still coasting on an out-of-date reputation, supported by a serious lack of awareness about just how good the new best baby monitors perform. In the same price range as the DXR-8, the Cocoon Cam Plus is a much better investment for parents on a budget. At just $149 it’s the least expensive of next generation baby monitors and it features the innovative breathing monitoring app. Good image quality and an overhead “bird’s eye” view combine to provide much-needed peace of mind for anxious new parents. The Cocoon Cam provides so much more than the DXR-8 in terms of versatility. Your smartphone or tablet becomes the parent unit with a very respectable 720p image quality. That’s twice the fuzzy 360p resolution of the DXR-8. Night vision quality is also far above the DXR-8, which you can see for yourself at our Cocoon Cam review page. For the full roundup on the latest baby monitor tech check out all of our baby monitor reviews and our picks for the Best Baby Monitors of 2019 here.